A premium hot cocoa mix formulated to contain a good balance of sweeteners, cocoas and creamers to create a very pleasing hot beverage. 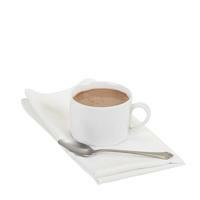 The great flavor and creamy texture of our hot cocoa stands up to the best name brands. In a microwave-safe container heat 6 fl oz (3/4 cup) water or milk for about 1 minute (or until hot). Empty one envelope hot cocoa mix into a separate cup. Stir hot water or milk into mix. 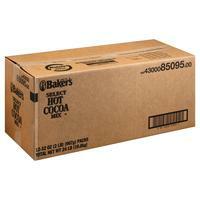 Store product in a cool, dry place (below 75° F, 50% RH) in sealed containers and away from highly aromatic substances.